Twitter and Spotify have teamed up to deliver a form of ‘trending music’, which taps into the social media giants trending topics idea in the music space. #Music comes as a replacement for the Twitter music service, which launched in April to fanfare but has since tanked. The new app is an immediate improvement, delivering the sort of quality music environment that Spotify’s team are so experienced in delivering alongside the user input that Twitter delivers. As such, this is not a rekindled attempt at breaking music by Twitter, and is instead an interesting partnership where both parties play to their respective strengths. The result? A much better user experience and an app that could have a big impact on the music business. 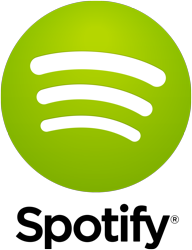 The #Music service is now available through Spotify, the service who are causing tidal waves in the industry. Sean Parker, that agent of disruption is working his magic again, causing music bosses to scratch their heads and to form unlikely partnerships with the likes of Apple. Spotify, thanks largely to their association with Sean Parker, have been shrewd in the way that they have teamed up with social media in order to drive their business. It began with Facebook, where Parker was infamously involved in its earlier days, and has now extended to Twitter. Spotify thus are now aligned with the two domineering social media sites on the market. So what does #Music do? For one, it allows you to more easily discover the music that our peers are listening to. “Discover the hottest new music in the World right now,” is the big claim, and in a way it delivers. The app is split into ‘superstars’, or popular artists in more common parlance. However, it’s the apps ability to help you discover new music which really sets it apart. Much like Twitter itself, the core value of content or music discovery sits close to the networks main selling point. Twitter has built a strong reputation around the timely gathering and discovery of new trends and news, and #Music should offer similar values around music. So whether you’re looking to listen to the trending and thus most popular music, or if you’re looking to ‘unearth’ – unearthed is one of four core categories – this service should have value. The service will cover all of the main genres, from your rock to your hip hop too. All of these genres are available in big Twitter inspired playlists too. Many playlists sit at over 100 tracks long, and you can sync them for offline playing. As your device then goes back online, the playlist syncs up so that its always the current trending tracks in that genre. We’re basically looking at a real-time music chart, that will make predicting the Christmas number one much easier in future. Once you identify your genre, you get a big clickable list of tracks to work your way through. Both Twitter and Spotify are known for their easy to use and highly intuitive interfaces, so it’s little surprise that they’ve repudiated this for #Music. It’s easy, quick and all very accessible.